Wow thanks, that's awesome, oddly enough in the pictures I have seen it doesn't look detachable, at least from the top. I am soo happy this can be done, it really helps lessen the footprint. Don't know anything about the boom sorry, but it seems we'll find out more next month. how do you track a gun with Gear ? i think it is still time for Virtuix to provide a standalone 6Dof tracker to put in anything you want to use as a weapon. The EDTracker project is nice and cost almost nothing, all the work is done so they could possibly include one with the omni. There even is a wireless version. I mean, 99% of the omni demo are FPS game with oculus, and suddenly the device will come without this essential part. So most of users will be disappointed with a the feeling the device is half-baked (while it is not). I already see the reviews with title like "Omni is great...if you can make it work !" you need something to play your game and we do not provide it, but at least we show that we care. (better than the usual "no battery included" message. The Note 4 Gear VR can connect with Bluetooth devices including Sixense STEM, which developers are using to add positional tracking to their content. The steel frame for the footplate is an integral part of the overall base structure. You won't be able to remove it. Yes, it's held every January in Las Vegas. 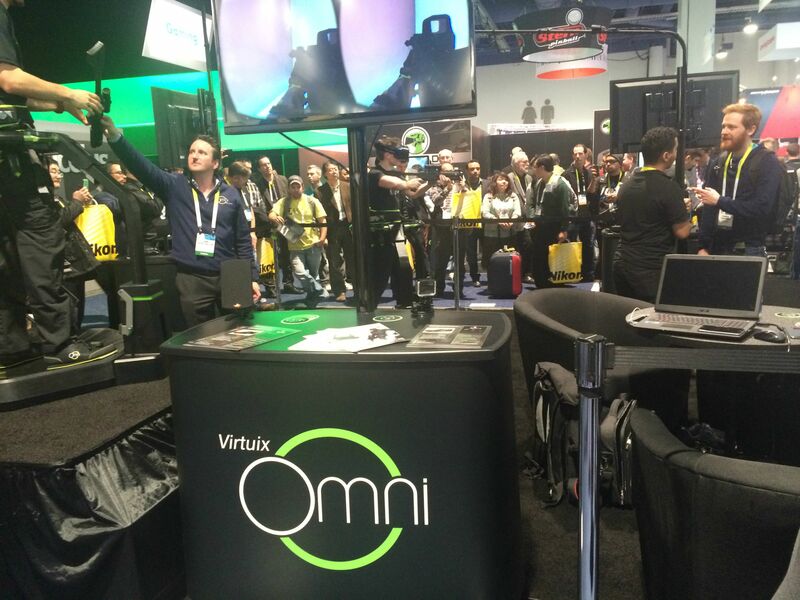 Virtuix had an awesome booth in the gaming section. How about CES Asia? the one in Shanghai this May? @Wolvenworks Virtuix won't be attending the May CES event in Shanghai, sorry. @sutekiB shucks looks like I'll have to wait longer for a try. When will be the next "tryout" and when?